Phil Roy in October 2007. Phil Roy wanted a camper. It cost $15,000, but he didn’t have the money. What Roy did have was access to cash — someone else’s cash. Roy, a longtime Republican politician from Somerset County, managed a federally funded agency’s checking account as well as the checking account of the state Republican Party, for which he was treasurer. So in August of 2009, Uncle Sam and the Maine GOP bought Roy the camper. Roy eventually paid the money back with interest, but in the process everyone from the FBI to the state auditor tried to find out what happened, who’s responsible and what should be done. Roy is a former Somerset County commissioner and chairman of the Fairfield Town Council. He was also a member of the Maine Board of Corrections working group, the Kennebec Regional Development Authority and the Kennebec Valley Council of Governments. What state officials have called the “misuse” of federal funds was kept quiet until now. Roy was allowed to resign from his job as fiscal agent at the federally funded agency, the Central/Western Maine Workforce Investment Board, and as treasurer of the Maine Republican Party without public acknowledgement that he had used both groups’ checking accounts for personal purposes. And now he has authority over the $7 million dollar budget for Hancock County, where he serves as chief financial officer. Some of those familiar with Roy’s financial management history say he never should be in charge of public money. “I would certainly not consider employing the individual in such a position,” said Peter Thompson, a longtime member of the Workforce Investment Board. “He certainly has shown poor judgment in terms of his fiscal responsibility,” said Craig Anderson, a vice president of Goodwill of Northern New England, who was the Workforce Investment Board chairman in late 2009. Roy did not make himself available for an interview after repeated requests. 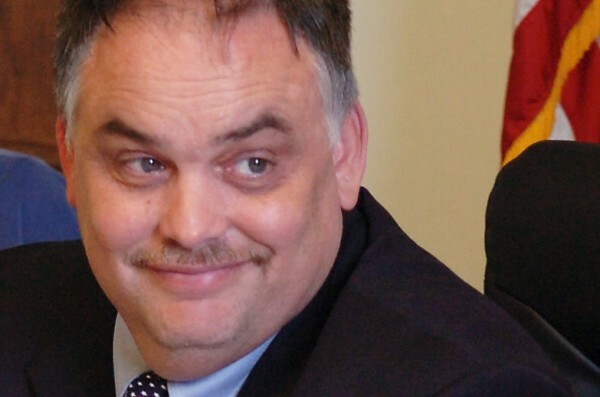 Using documents obtained through a Freedom of Access Act request and interviews, an investigation by the Maine Center for Public Interest Reporting reveals that in late August 2009, Roy, who was the volunteer treasurer of the state Republican Party, asked GOP Chairman Charlie Webster if he could borrow $15,000 of party money for personal reasons. Webster says he said “no” and thought that was the end of it. Roy used that money to reimburse the Republican Party for the $14,600 he used to buy the camper, according to the auditor’s narrative. At the time, Roy worked at the Workforce Investment Board part-time as the fiscal agent. The board is one of four agencies in Maine that funnel federal funds into programs to train workers and match employers and workers. The four agencies oversee the operations of the state’s Career Centers. The one for which Roy worked covered Oxford, Androscoggin, Kennebec and Somerset counties. According to Gary McGrane, a Franklin County commissioner who was a member of the Workforce Investment Board when Roy got the $15,000 from the agency, the normal oversight procedure, which requires state approval and a second signature on checks by an agency board member, didn’t happen. “All the checks had to be approved by the state agency, and I would oversee that and would have the authorization from the state to go ahead, and he bypassed the whole process,” said McGrane. These transactions were discovered in December 2009 when the federal government performed a routine audit of the Workforce Investment Board’s finances. Board member Thompson said Roy never should have used taxpayer funds to buy a camper. “It was absolutely the wrong thing to do, not only legally, but also ethically,” said Thompson. Roy said he borrowed the $15,000 in federal money from the Workforce Investment Board, according to Smith’s narrative. But if it was a loan, it wasn’t documented. “No promissory note was executed between the parties,” wrote auditor Smith. Roy told auditors that a state official told him he could borrow the money. But Douglass, the state auditor, denies that Roy was given permission to use federal money for personal purposes. “If I go into my boss one morning and say, ‘One of my staff is really irritating me, can I shoot him?’ If he says yes, that doesn’t make it OK,” said Trundy, who said he was appalled at what Roy did. Roy told the auditors that “the funds had been used to pay his mortgage so he didn’t lose his home,” according to state records. After auditors discovered the loan in early December, Roy paid it back. In mid-December, Hoffman called a small group of agency board members to an emergency meeting to review the federal auditor’s findings. improprieties” from Melanie Arsenault, head of the state Department of Labor’s Bureau of Employment Services. The department has oversight responsibilities for the state’s work force investment boards. Arsenault’s letter not only questioned the loan to Roy but also a $100,000 line of credit opened by Roy without documented board approval. According to McGrane, board members discussed whether to fire Roy. “Some people such as myself were ready to fire him. There was concern about legal ramifications whether or not we were doing it properly in accordance with federal regulations,” said McGrane. In the end, Roy was allowed to resign. Hoffman also resigned later in 2010, at least partially because of the Roy incident, according to Thompson and other board members. Hoffman did not agree to be interviewed despite multiple attempts to reach him. In January 2010, Roy resigned his position as GOP treasurer. The FBI would not confirm whether the investigation is still under way. Workforce Investment Board members who knew about the incident never have spoken publicly about it until now and agency leaders failed to notify most other board members until months afterward. Nor did board members tell Roy’s employers at Hancock County what had happened. But Webster knew what had happened. He and party attorney Dan Billings, who is now Gov. Paul LePage’s in-house counsel, had been told in December 2009 about the GOP funds diversion by Smith, the independent auditor who investigated the incident at the request of the state. Billings said he could not speak of the incident because of attorney-client privilege. Webster said he felt no need to inform his fellow Republican Party leaders about what Roy had done. In fact, the Republican Party had just been through a lot of drama around Roy’s management of its fiscal affairs. While Roy was treasurer, a paid bookkeeper had stolen almost $50,000 from the party; according to the Kennebec Journal, she ultimately pled guilty to forgery and felony theft charges, was ordered to pay restitution and sentenced to jail for six months. According to a posting by Billings, a motion to remove Roy as treasurer failed. The political price of publicly undermining the party’s image as fiscally responsible was evidently on Webster’s mind when Roy left over his own misuse of funds. “What was I supposed to do, have a press conference? And hold it in front of the Democratic Party headquarters?” Webster said. One of Roy’s bosses in Hancock County, Commissioner Steven Joy, began his service as commissioner around the same time Roy went to work for Hancock County in early 2009. Joy said he did not know precisely what had happened at the Workforce Investment Board. Financial conflict has continued to follow Roy in his job as chief financial officer for the county. In early 2011, Roy had the county treasurer move $750,000 in federal funds from the Hancock County-Bar Harbor Airport budget into the county’s general fund. The airport’s manager, Allison Navia, charged that the transfer violated federal rules about how airport money should be managed. The Federal Aviation Administration is reviewing the incident, according to spokesman Jim Peters. Joy said that Roy had been “overzealous” in investment of county funds, leading to a cash flow problem that required using airport funds to meet expenses. Joy said that the funds “were all under our control,” but that there was “commingling” and new procedures have been put in place to avoid future problems. The Maine Center for Public Interest Reporting in a nonpartisan, nonprofit news service based in Hallowell. Email: mainecenter@gmail.com. Web: pinetreewatchdog.org.